Lucasarts, being preoccupied with making average Star Wars games based on terrible Star Wars movies and cartoons, obviously couldn't care less about treasured old properties like Day of the Tentacle. So it's lucky reader SewerShark does. 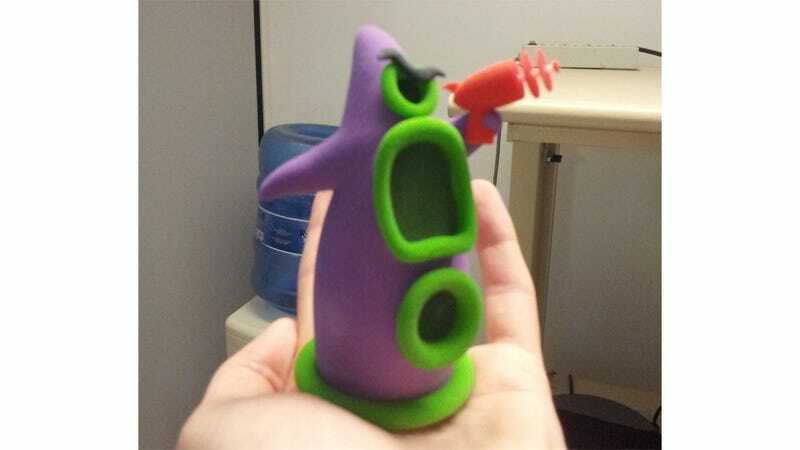 Using the magic of a 3D printer, he's built himself this amazing little DotT piece based on Purple Tentacle. If you've got access to such a device, you can get the plans for the figure here.